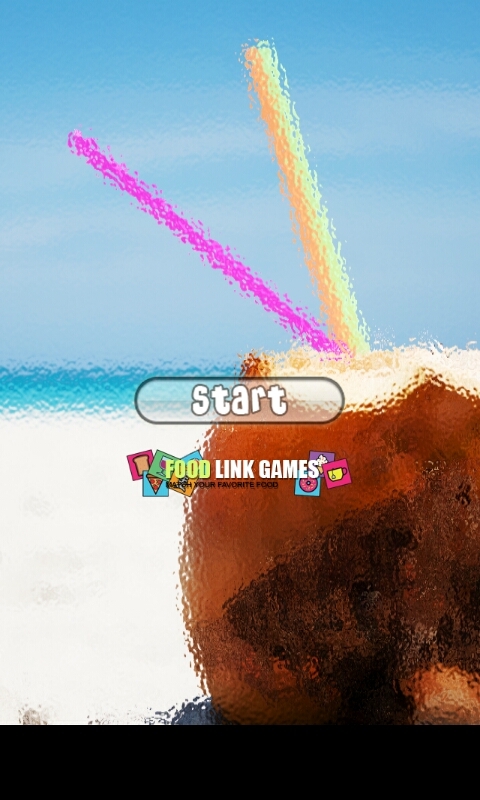 Food Link Games is the newest line-link puzzle game which make your amazing experience when you play on your phone and tablet! 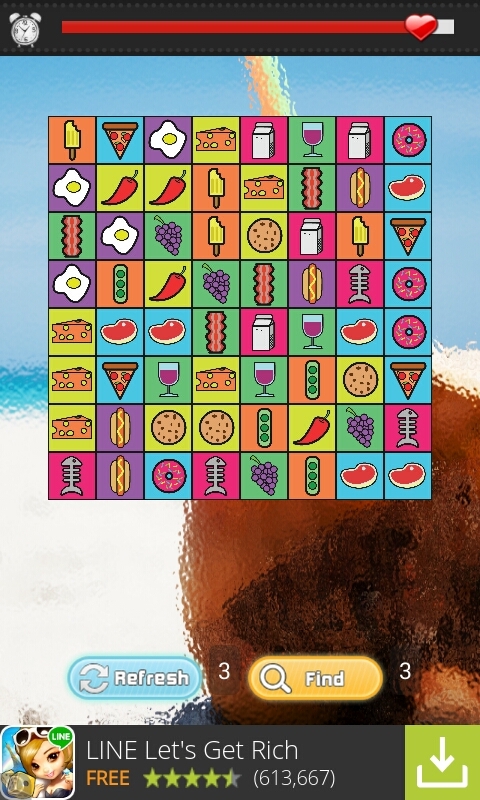 This is an interesting link games to find a pair food pictures than connect it. One of the most simple food game but it can make you more addictive and enjoyed to play it! Features: ★ IT'S TOTALLY FREE TO PLAY ★ Fresh and beautiful style, bright and vivid graphics & effects! ★ Well-designed levels - each one is unique and full of fun and amazing challenges! ★ EASY TO LEARN but hard to master! Really? 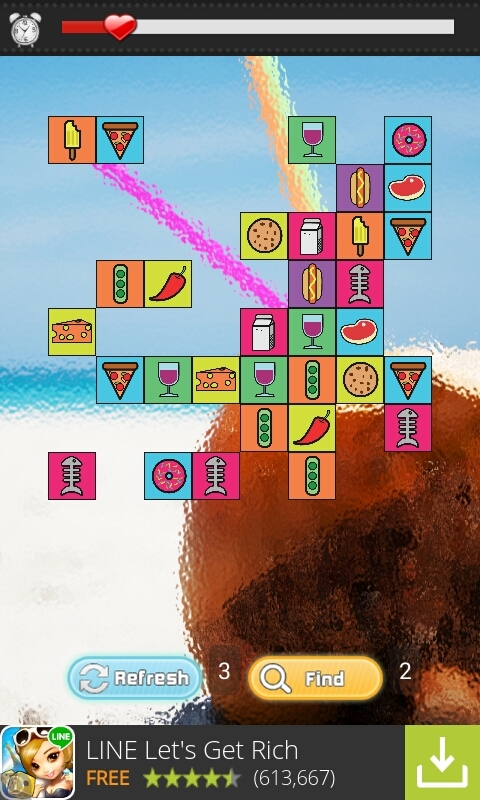 So play it.. ★ Lovely food and drink graphics that will make you addicted to them from the first hit! ★ Find the best strategy to get the fast ways to connect the picture. 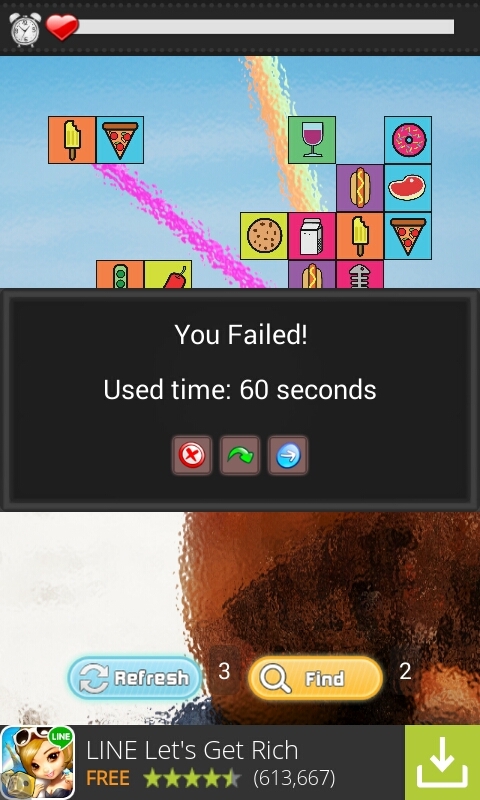 ★ Next level more fast to get the best way to connect it The point in this game, your goal is clear it all to level up, if you get the level up, the time will decrease and more difficult to finish that, let's practice your reaction speed!